Always assemble your fountain on a firm and level surface, so it is stable and safe, and to ensure an even flow of water. It is not advisable to constantly run your fountain as this will shorten the life of the pump, and waste water through evaporation, wind and splash. 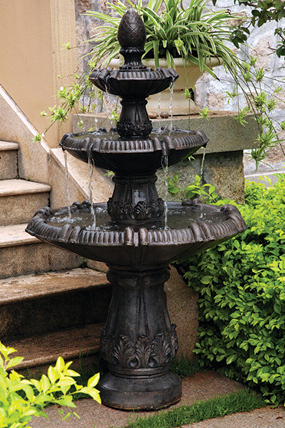 Ensure your fountain is filled with water, and the pump is always fully submerged. You may need to top up the water periodically, as allowing the fountain to run low on water will cause the pump to run dry, overheat and fail, which is not covered by warranty. Remember to regularly clean or change the water in your fountain so the pump does not get clogged with debris or algae, as this is also not covered by warranty. Algaecide can be added to fountain water to prevent growth and prolong the life of your pump. In winter, never allow ice to form in the bowls of your fountain, as this may cause cracking. 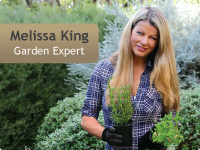 Instead, drain the fountain and store indoors during colder months. electrical connections, please consult a qualified electrician. For more information on how to install and care for your water feature, download the Assembly and Care Instructions for your fountain from below.